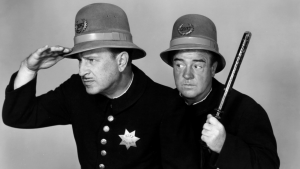 Homeland Security or Abbott and Costello meet the Keystone Kops? HAMBURG, Germany — You have to wonder if the Department of Homeland Security is insecure or just lame. On Dec. 31, I was just about to board a flight to Hamburg, when a pair of its employees stopped me and asked a few questions. My mistake was to forget to ask their names, their jobs, and if I was under arrest. Instead I calmly answered their irrelevant queries. Nothing they asked related to anybody’s homeland. Three pieces of paper that one officer handed me did not concern me or my international travel plans. They were sections of the United States Code regarding “subversive activities” at United States military sites. I’m in Germany to attend the appeal court hearing of a nuclear weapons abolitionist, Gerd Büntzly, whom I joined in 2017, along with three other US citizens, in a protest at the German Air Base Büchel. There are 20 US-manufactured nuclear weapons (B61-4s) at the base, but it’s a German air base. The USAF just works there (under the name 702nd Munitions Support Squadron) to guard, support and train German pilots in use of the US H-bombs. Gerd, 68, a German language teacher, pianist, orchestral arranger and former music teacher from Herford, Germany, intends to testify at his own appeal that nonviolent resistance at the Büchel base is a lawful act of crime prevention because Germany and the United States deploy the US nuclear bombs there in violation of the Treaty on the Nonproliferation of Nuclear Weapons. The NPT prohibits the transfer of nuclear weapons to or from other states that have signed it. Both the US and Germany are parties to the NPT. (What the US has said to rationalize its nuclear lawlessness is: 1. The H-bombs are under USAF control at the base until war starts; and 2. The NPT doesn’t apply in wartime when the bombs would be transferred to German Tornado fighter jets.) 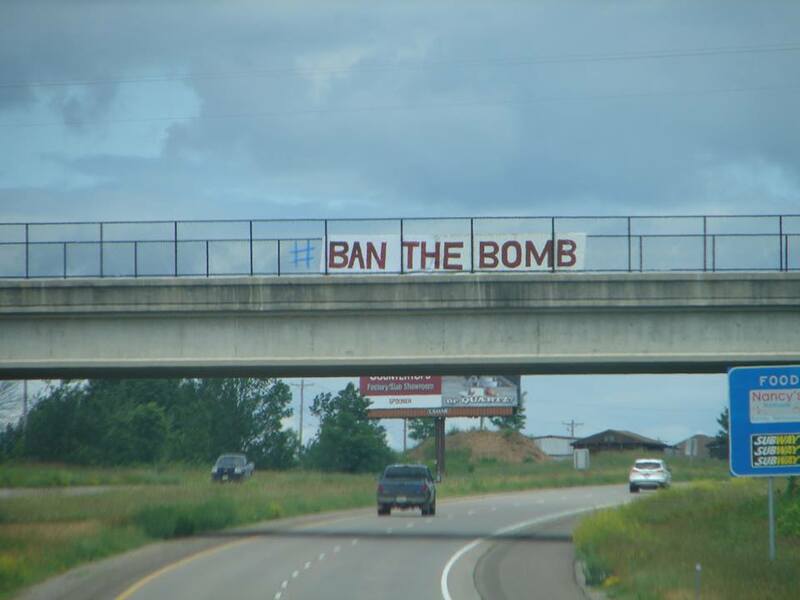 Now that’s subversive activity at a military base! One inquiring officer wanted a look inside my cornet case even though it had already passed two sets of airport security. (Of course, you never know about cornet players!) The other officer asked if I knew it was unlawful to enter a military installation without permission. I should know after having done so in at least two dozen protests. I said Yes. After skimming the badly copied sections of the US Code, I asked why the officer was giving them to me. One said, “So you can’t say you haven’t been warned.” But none of the text I was given involved warnings, just federal statutory facts. The US Code is addressed to the US population as a whole. The material was neither addressed to me, nor had a date or the name of an issuing officer. Two pages had a DHS seal shabbily stamped in red. The pages were just photocopies or web page print-outs, complete with comical errors: One elaborately defined federal misdemeanor was said to have a penalty upon conviction of “a fine not to exceed ,000.” Wow, some warning. The airport interruption was perhaps a sort of “proof of surveillance” demonstration by the cops — a useless and absurd one. One officer then felt the need to inform me that, “‘No trespassing’ signs at military bases are written in English.” I thought, What would become of the nation without the stern Dept. of Homeland Security! I walked down the causeway to my seat. Regular readers know that your Nukewatch reporter has protested and engaged in civil resistance against nuclear weapons and war since long before the advent of the Dept. of Homeland Security. Perhaps the attempted scare tactic was actually a message meant for everyone else. By reporting on the airport delay, maybe I only help the DHS put on notice those readers who may be considering opposition to US militarism. What the DHS hasn’t figured out is that hokey theatrics used to shoo people away from political dissent only succeed against those few activists who were born yesterday. There are just too many time-honored, practical, hard-headed, ethical and strategic reasons for nonviolent political action (against the tyranny of the war system, misogyny, homophobia, racism, sexism and human exploitation) to ever intimidate committed loudmouths. It’s official. Nukewatch turns 40 in 2019! It’s official. Nukewatch turns 40 in 2019! Across four decades, this small but effective group has diligently monitored, reported on, and organized opposition to nuclear weapons, the nuclear industry and the war system. Our commitment to peace and disarmament remains as steadfast today as when Nukewatch started in 1979. It’s a birthday year. Help Nukewatch celebrate with a gift to make sure this organization survives to see 50. Many times over the decades Nukewatch nearly closed its doors because of financial hardship, and each time an appeal went out, dedicated supporters came through to save the day. Thus, our work continues. 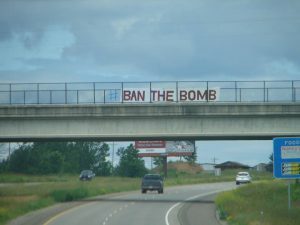 Through the years, staff, volunteers and activists have stood at the fences, crossed the lines, faced the guns, argued in court, gone to jail or prison, written letters, marched, lobbied, published and leafletted to educate people across the country about nuclear dangers, military and civilian. For this, we continue to rely on your contribution. Nuclear weapons and reactor programs have grossly contaminated our soil, air and water. And the perpetrators have no intention of stopping. But thanks to a renewed struggle toward nuclear disarmament—nuclear abolitionists having won the 2017 Nobel Peace Prize, and a huge effort to ban the Bomb internationally—the global movement for prohibition and elimination is gaining strength once again. Nukewatch has been there all along; from the beginning Nukewatch has been a partner of the coalition group ICAN that received the Nobel! With the US government galloping ahead with new nuclear weapons development—a gargantuan $1.7 trillion plan to replace the nuclear arsenal and its whole production complex—decontamination of radioactive wastelands from past weapons production gets short shrift or lip service (see Woolsey fire report on cover in your enclosed Quarterly). As ever, with more and more cancers and diseases being linked to workplace or environmental radiation exposure, the White House—to save the nuclear industry money—is pushing the debunked notion that a little radiation is good for you. It has proposed an official weakening of radiation exposure protections (see Quarterly cover story). While Congress and presidential administrations routinely add tens of billions to the military budget every year, they slash funds for food stamps, education, pollution control and healthcare. No major effort is afoot to wind down, much less roll back, or even audit Pentagon spending or its endless adventurism around the world. Some in Congress have proposed minimal but welcome cancellations of the most destabilizing and dangerous nuclear weapons programs. Where in the United States are there official calls for denuclearization or support for the new Treaty on the Prohibition of Nuclear Weapons? Your donation to Nukewatch helps amplify and broaden the demand for peace and disarmament. While the Pentagon gets more money than it sometimes requests (and then loses large sums), organizations working for peace and reconciliation receive no government slush. Not a dime. Nukewatch’s grassroots work depends solely on you to get us through the years. Without you there can be no printing of the Nukewatch Quarterly. Without you no one will answer the phone, do the research, write the reports, maintain the books, organize the next event, show up to speak, or join a protest delegation… Nukewatch needs funds for postage, heating bills, wages, insurance, paper, printing, phone, internet, and the list goes on. Please give so that Nukewatch carries on. With you, Nukewatch will continue to struggle and strive for a nuclear free world. On November 8, Wisconsin lawmakers repealed the state’s “Prove-It-First” sulfide mining statute and sent it to Gov. Scott Walker for his signature. The law allowed for a mine to be licensed if its proponents could demonstrate that a similar mine had operated for 10 years and been closed for 10 years without causing acid mine drainage or polluting water. Since the requirement was never met, the statute has protected Wisconsin waters from sulfide mines since 1998. But beginning in 2013, Gov. Walker and Koch brothers-funded mining industry backers made repeal of the moratorium a top priority. Meanwhile, Republican Rep’s Jesse Kremer of Kewaskum, Rep. Cody Horlacher of Mukwonago, and Sen. Duey Stroebel of Saukville introduced bills to repeal state laws limiting air and water pollution not regulated under federal law. A coalition of indigenous, environmental, and sports organizations mobilized to protect “Prove it first.” Over 20 years ago, many of the same groups had united around opposition to the metallic sulfide mining at Flambeau and Crandon, and saw the successful passage of the moratorium. Back in the late ‘90s, both current Nukewatch staffers, John LaForge and I, were independently active in the anti-pollution struggle. For me, collecting postcards to support the Mining Moratorium and protesting the Crandon Mine was an early introduction to environmentalism as a geology student at University of Wisconsin-Eau Claire; and for John it meant organizing nonviolent action with Flambeau mine opponents from across the state. Exxon’s Crandon mine proposal was stopped and the mine site sold to the Mole Lake Ojibway and the Forest County Potawatomi. The Flambeau Mine came and went, and the closed mine site has never been fully reclaimed after 20 years even though tailings were shipped off site. The Flambeau copper/gold operation was one of the major tools used by both sides of the moratorium repeal debate. Mining advocates claimed falsely that the site had been cleaned up, while opponents referred to the company’s own records to prove the site is polluting Stream 3, which feeds the Flambeau River. Flambeau mine site owners have never secured a mine reclamation “Certificate of Completion” due to the pollution—proven by 45 violations of water quality standards documented in a report by the Flambeau Mining Co. itself (a subsidiary of Rio Tinto). Unfortunately, industry-manufactured lies that “the Flambeau River remains fully protected” have dominated public discussion of the repeal. At the state’s legislative hearings to repeal the moratorium, Nukewatch members and supporters joined dozens of others to testify. We gathered with our local network and used presentations, letters to the editor, and protest to educate the public and Assembly representatives. “After hearing this,” said State Representative Romaine Quinn who attended a Nukewatch-organized presentation by Dr. Laura Gauger, “no, I don’t find myself supporting the mining bill.” However, Quinn voted for repeal. Prior to the repeal bill’s passage, the author, Sen. “Toxic” Tom Tiffany, R-Hazelhurst, said, “exploratory companies tell me they are back in play (in Wisconsin) if we change the law.” Tiffany predicted that the bill could prompt companies to start early exploration work for copper, zinc, gold and silver as early as 2018. Co-Director Moving On- Thank You Arianne Peterson! After four great years, Arianne “Ari” Stewart Peterson, Nukewatch’s unyielding defender of workers everywhere—and of The Chicago Manual of Style—will be leaving our staff to subtly educate Wisconsin college students about matters of consequence while teaching them English at the University of Wisconsin-Barron County. With her calm, understated, firm, witty, and shrewd guidance, Ari has steered Nukewatch to be an organization more in touch with multi-cultural reality and helped us to better recognize and appreciate the diversity of social justice perspectives and environmental impacts beyond the office. In her time here as our tech savvy Co-director, Ari moved the organization from the 1990’s into modernity, with a new website, membership outreach, a Facebook page, fund development plans, and an invigorated newsletter style, design and layout. Ari conducted investigative reporting and mapping for, and co-edited, Nukewatch’s Revised Edition of Nuclear Heartland: A Guide to the 450 Land-Based Missiles of the United States which came out late in 2015. 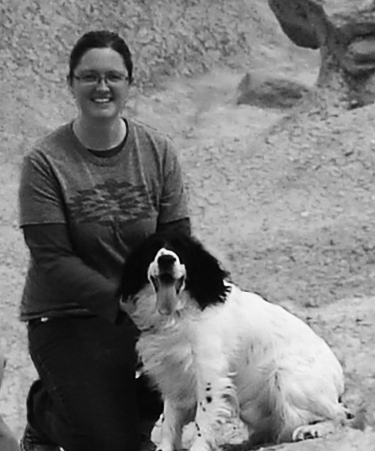 She has researched and written dozens of remarkable, well-respected articles for our Quarterly. Her amusing command of the Chicago Manual has helped us avoid sounding too much like bumpkins from the countryside. Ari is the only person who could single-handedly run the entire Nukewatch office. She’s just not replaceable. Happily, Ari will continue to serve on the board of our parent organization The Progressive Foundation and help out as an occasional consultant. Bon Voyage Ari!